It has definitely been a while since I last blogged - aside from the weather being poopy, third year of university takes up most of my time. I am absolutely dreading the coming months, so please bare with me if my blog takes a back seat for a while. It will all be worth it in the end! As you can see I STILL haven't done anything about my hair - i'm kinda just going with it now, making it "my thing". 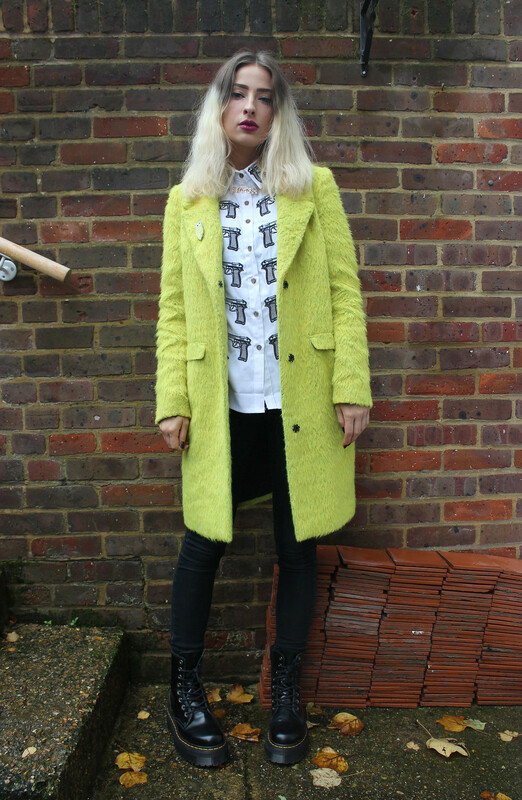 I bought this neon yellow fluffy coat on a whim, worrying that it wouldn't go with anything, but surprisingly I have been living in it recently! It just feels very me. 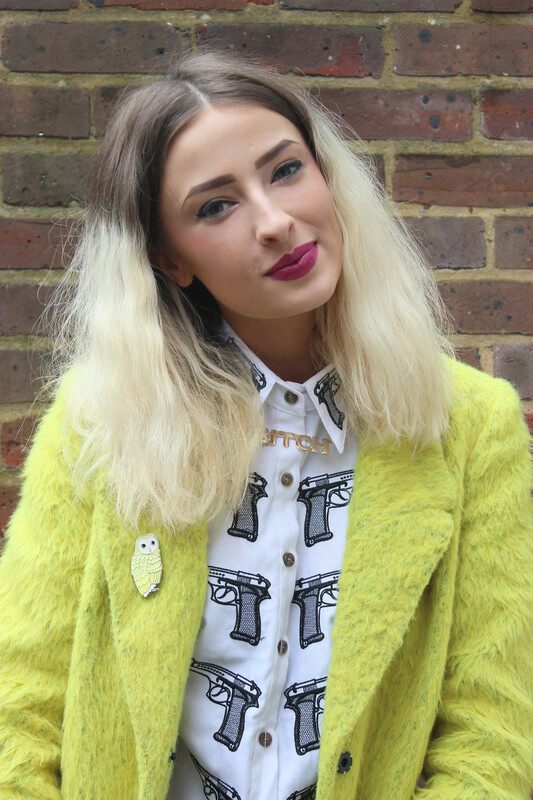 I don't know what it is with me and neon yellow, but we are inseparable at the moment. 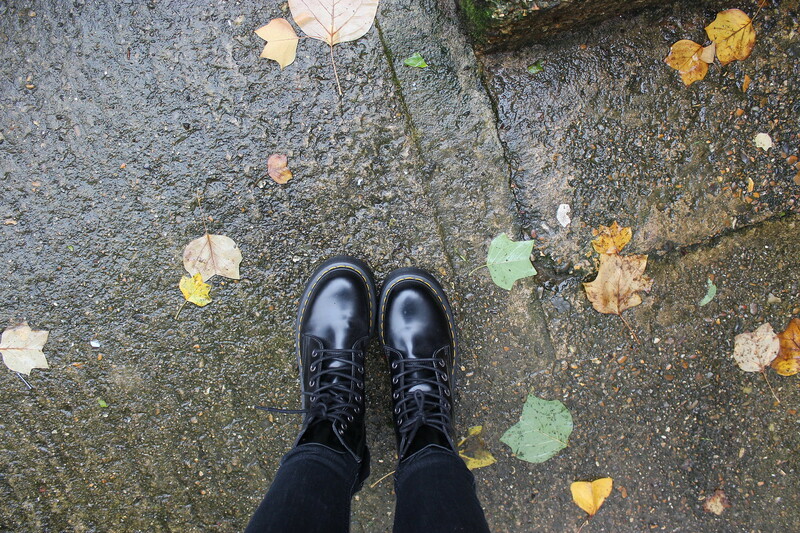 I replaced my old, classic Dr Martens with these absolute beasts a few months ago, and i'm so happy I can start wearing them. Yay for Autumn. Love the coat, you pull it off so well! Absolutely flawless. I want your boots soooo much! I love your hair like this Lucy - you totally suit it. Then again, what don't you suit? I've been lusting after that coat for ages! i got these boots then i returned them! your making me want them again! love this outfit, you look flawless! You make me want this coat even though I know it will look terrible on me hahaga you look amazing !! Adore the shirt! And need to get me a colourful coat too! ooooh that coat is gorgeous!! 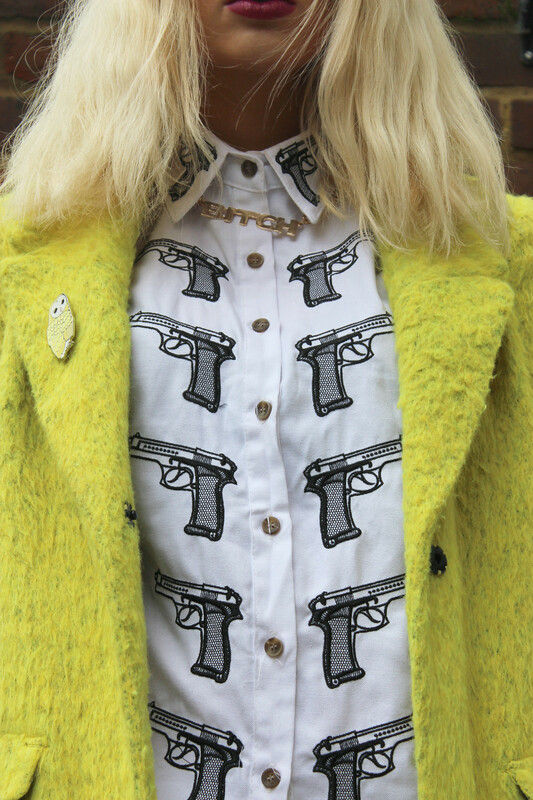 Gorgeous, that shirts amazing and as for that coat, WOWSER! that coat is ah-mazing! such lovely and different look for the cooler months! That shirt is soo cute!! And the necklace is amazing. Your hair looks so good even though you're not doing anything with it, I finally did my roots but I kinda prefer myself with them?!! Love your style its amazing !! I want that coat SO bad! It looks great on you. Jealous! LoL. Love the pop of color in your neon coat! How is this my first time reading you? I really can't see how I hadn't heard about you before! I came here because I saw you on the Urban Outfitters UK 90's Edit and thought the snaps of you they featured were really cute. It's awesome that you got the chance to work with them! That yellow coat is so magical, everything about it is so perf... the texture, the colour and the shape. 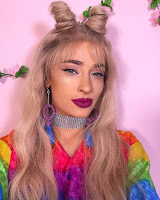 It's really a statement piece but from looking at a few of your posts I can really see how this is a versatile piece for you, and it could be for anyone actually, with just a bit of imagination. Also love the detail of your owl brooch, that is too adorable. It's sad to hear that I discovered your blog while you're kind of on a hiatus from it... but I shall stay tuned, and also really excited to see what your second blog will bring us readers! love this outfit! Is the coat mohair?